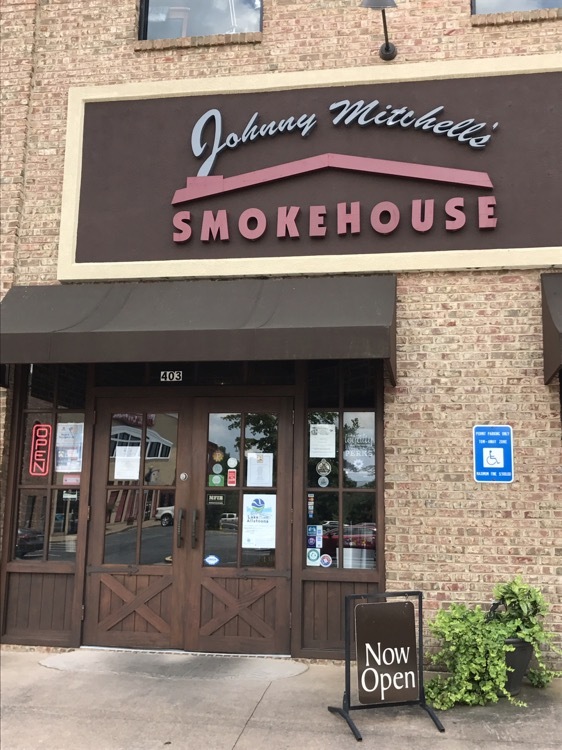 About two years back, we had dinner at Johnny Mitchell’s Smokehouse, at their original incarnation in Euharlee. 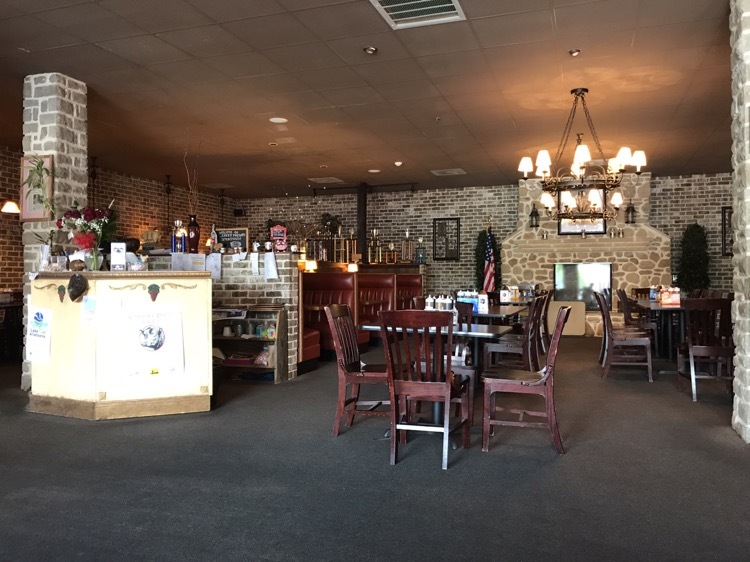 We were in Cartersville the weekend after the 4th of July and looking for lunch, when I remembered that they had moved. We headed over, late in the lunch hour, and found a fairly empty restaurant. My beloved orderdc a brisket salad. The brisket was fork tender, but the greens were the star of this salad. If you remember how excited my love got about the salad at Rusty’s, this was the (unusually better) sequel. They obtain their greens from a local gardener who grows organic mixed greens and provides them to a handful of restaurants around the area. A barbecue place that ups their salad game, not only with mixed greens, but with locally produced organic mixed greens? Awesome. with a side of mac-n-cheese and sweet potato tots. Yep – sweet potato tots. These were great – although I never know what to dip them in. 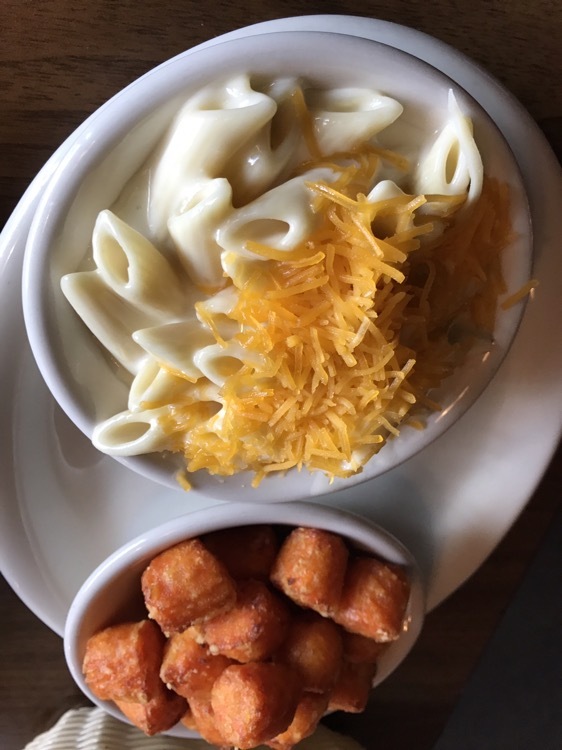 The mac-n-cheese was creamy – and then topped with shredded cheddar. Interesting. 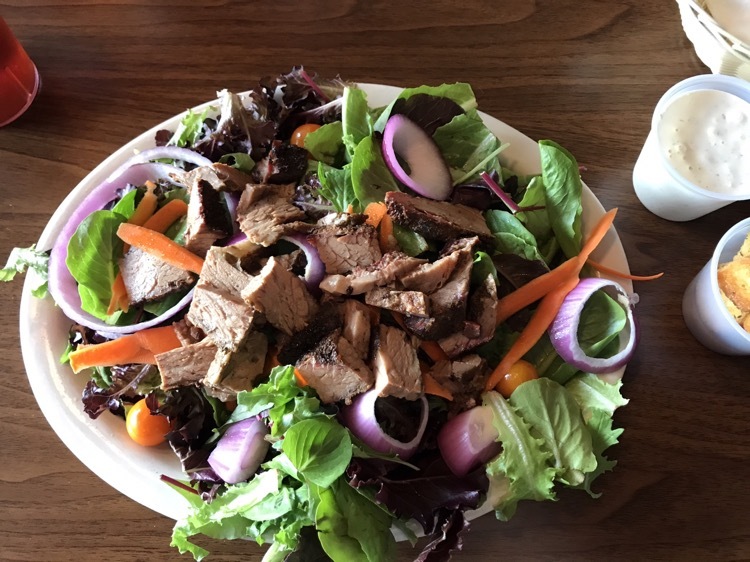 As I said about the salad, the brisket was fork tender and I really enjoyed the flavor of the tri-tip. Ribs were smoky enough and mostly tender. When I went to wash my hands before the meal arrived, there was a sign in the bathroom about their once-a-month Saturday night buffet. 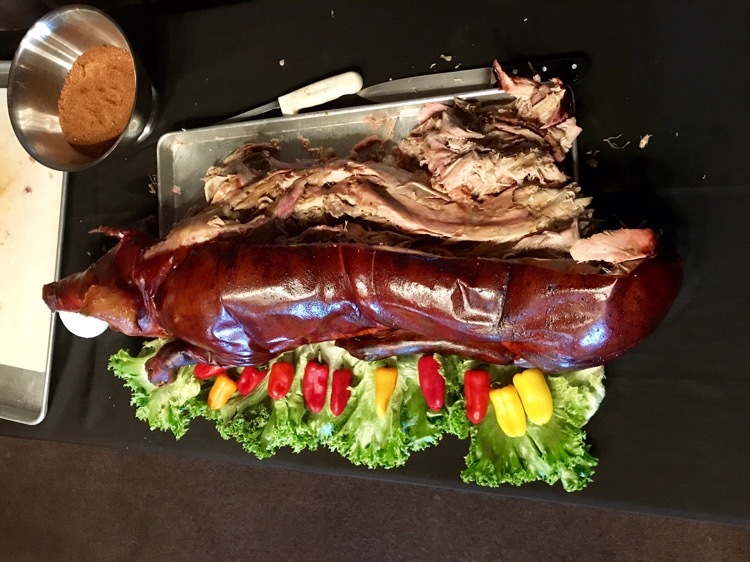 It was tonight – and it was going to be a pig roast. 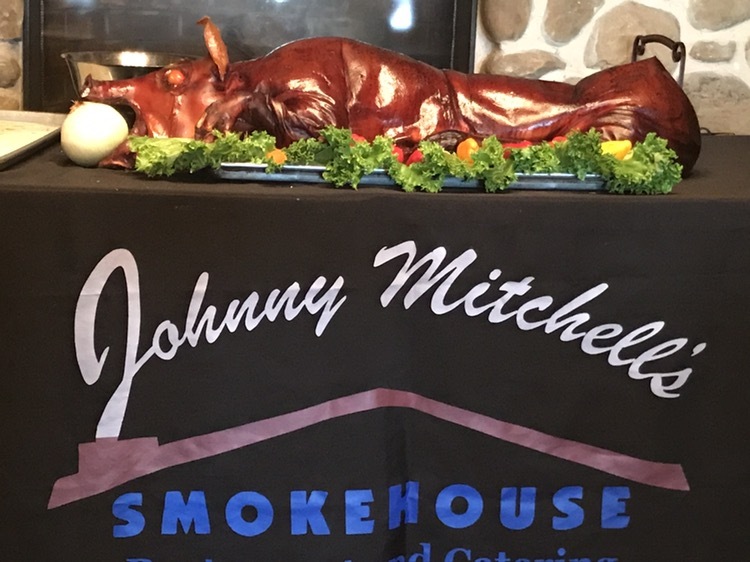 While we were eating, Johnny and his wife came by and chatted with us (about the greens and the barbecue and the pig in the smoker) and before I knew it, we had made a reservation to come back for dinner. I guess I knew when we’d be back. I took it light on the rest of my lunch. About three hours later, we were back, to meet this little fellow. 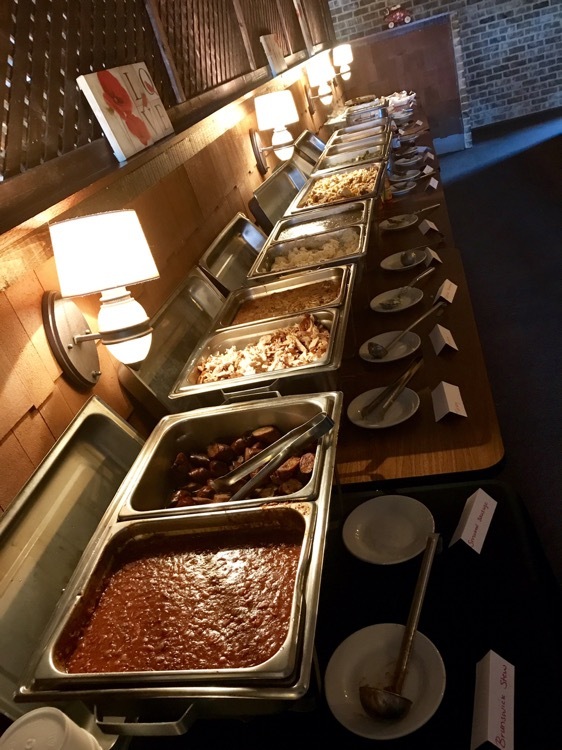 The buffet, itself, stretched the half wall near the kitchen and had a wide assortment of vegetables, along with some smoked sausages. 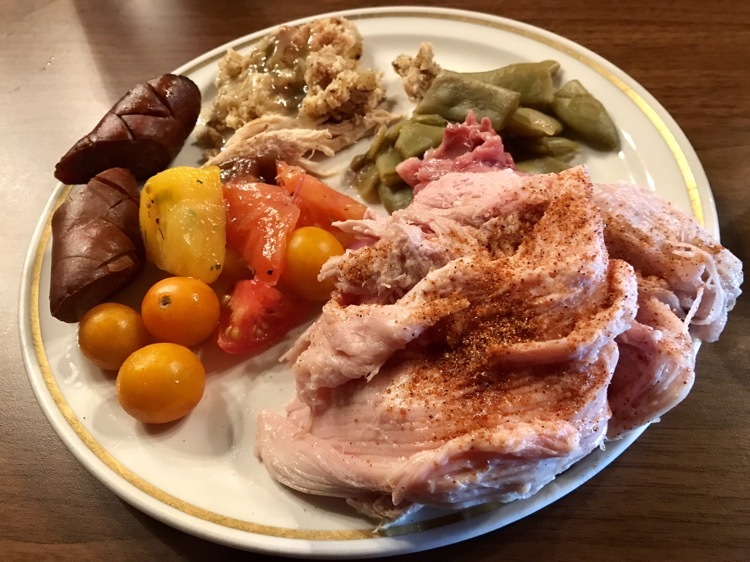 I was careful not to overfill my plate with buffet items, before heading to the pig. But I did load up on the tomatoes – there was a great assortment of heirloom tomatoes, of all sizes, and it was peak tomato season. Take a look at those! 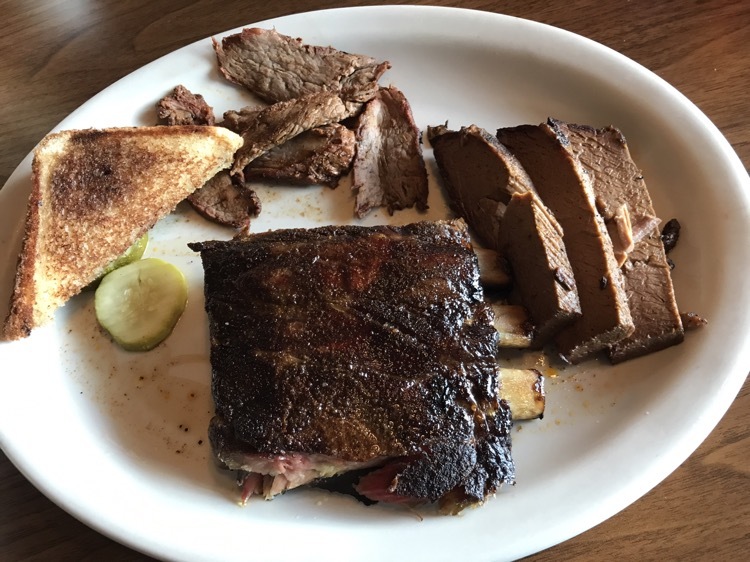 When I got to the pig, they were trying to serve me from the parts that had already been pulled, but I knew what I was after – pork belly and cheeks. The cheek meat was slightly sweet and smoky, very tender and moist. The belly meat was tender also, but I think I prefer my pork belly sliced and then barbecued, after it is sliced. This is the first time, I think, we’ve eaten at the same barbecue place twice, in the same day. Not to say that there haven’t been those when we went back the day after for another a visit.